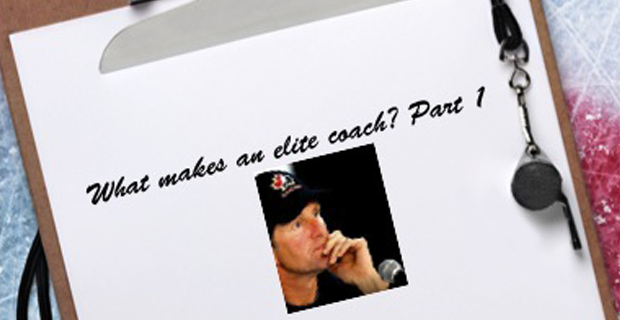 The obvious answer is someone who coaches in the NHL, Europe, major junior or college. Or perhaps an elite coach is simply anyone who gets paid. If you’re paid to do a job, you must be qualified and capable, right? After all, no one has ever come across incompetent teachers, carpenters, or accountants. That we pay a person to do a task should not be the benchmark. So why people equate paying a salary or honourarium with quality is a mystery. Likely it’s the same mentality that equates free with junk. If we don’t affix a value to a commodity or task, can it still be worth something? In the case of minor hockey coaches, it had better be. Very few get much more than some expenses covered by their teams. In the case of elite teams, say, at the AAA level, a coaching staff might be given $10-$15,000. It’s not much when you consider the amount of time spent with these players. Split among a staff of four coaches, it’s between $2,500 and $3,750 per season for four or five nights weekly of hockey and this is to cover travel and sundry expenses, too. Plus tournaments. Plus training camp. But that doesn’t make them elite. Is someone an elite coach because he coaches the best kids? Or is he merely the coach of elite kids? It’s not a trivial difference because far too often coaches will call themselves elite simply due to their working with the best. Is it not possible though for a coach to be elite while coaching house league kids? Consider Barry (not his real name), a fellow who’d been coaching in his local association for about 15 years. His own kids had long since left the minor ranks and Barry continued to coach because he loved it. He took younger kids and older ones, competitive teams and house league teams. It didn’t matter to him whether the kids were good or not. His view was that a coach is there to make them better, regardless of their starting points. He was innovative, creative, and demanding. His kids learned not just the game but how to be members of a team. He worked at improving his coaching skills. He read about coaching and went to extra clinic sessions. He asked questions. He searched for ways to implement new techniques. Barry was an elite coach. If he’d applied for a AAA team, the highest level in his region, he’d have never been given an interview. Why? He’d never coached elite players himself nor did he have the pedigree of having been a former junior or pro player. Yet he would have been exactly the type of person in AAA who would leave no stone unturned in searching for ways to coach such kids. So this week’s title is intriguing as it will be one posed soon to coaches at a High Performance 1 coaching seminar in Ottawa in late June.